It really doesn’t get more intense than this. Your heart will be thumping as your aeroplane reaches 3500 feet and your instructor gives you the thumbs up to go! Then it’s time to put all your training into practice. 3, 2, 1… GO!!! A few seconds after you jump, your static line parachute will open automatically and you can relax and enjoy the stunning views around you! This exhilarating experience may only last a few minutes, but it will feel like an eternity as you drift through the sky. Your instructor will help guide you safely to the ground, completing your ultimate hen party experience! 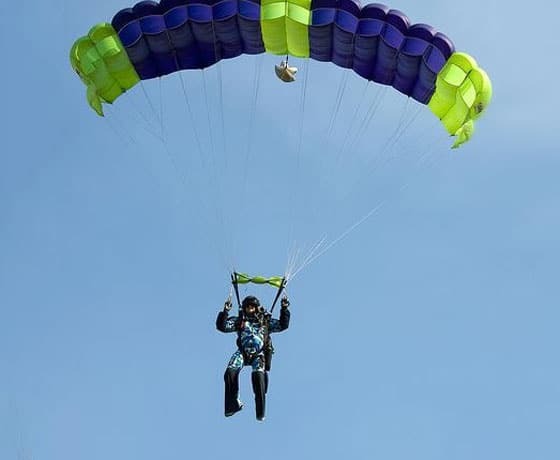 For other extreme activities, why not check out Hen Tandem Sky Diving in our Hen Party Air Activities section.